Forks feature vertical floating tines for ease of loading on rough terrain; adjustable to handle various widths of material. Fully forged tines offer a 3 to 1 safety factor. Low profile backframe allows high visibility. 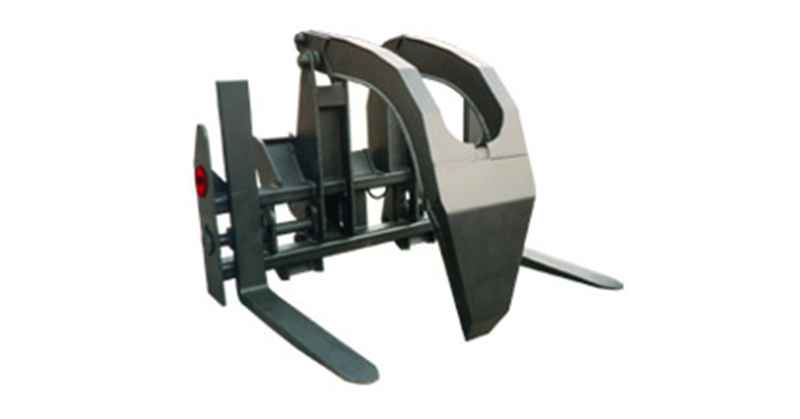 Forks also feature tapered clamp for better log pile penetration and a double pivot that is structurally superior to single “finger” style; two pivot points and six heat treated bushings.